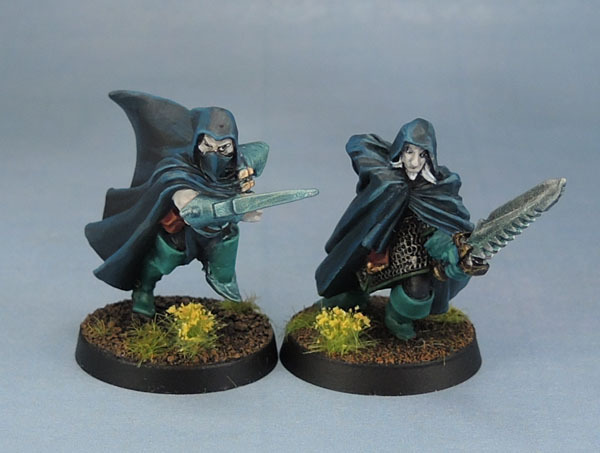 Dark Elf Assassins – 1995 and 2008 | Azazel's Bitz Box. 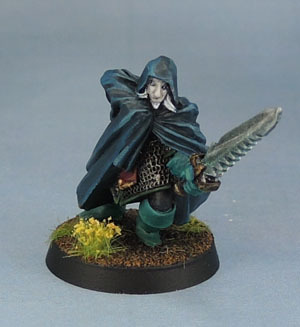 This entry was posted in Dark Elf Army, Kings of War, Warhammer Fantasy - 9th Age and tagged 1995, 4th Edition WHFB Dark Elf Assassin, Aly Morrison, Dark Elf Assassins, WHFB 7th Edition Khainite Dark Elf Assassin #2. Bookmark the permalink. Mmmm!!! Hoody, sneaky and stabby! Nice combination 🙂 It’s great that even with the gap in years, they still clearly ‘belong’ and work well together… says a lot about the strength of the design I suppose! 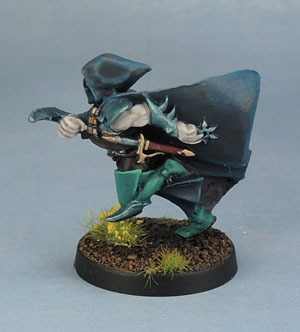 Nice smooth shading on the cloaks, and I like the turquoise (taking mental notes for future 8th Edition Dark Elf colour schemes). 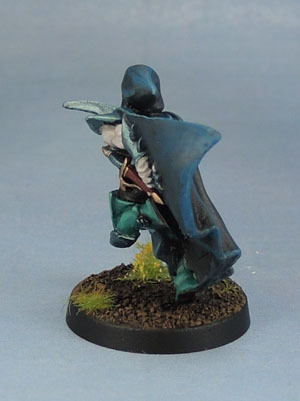 I also liked the shading on the cloak. 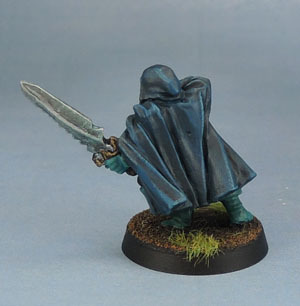 The turquoise is indeed an excellent choice for a highlight colour. As always an excellent paint job. The miniature does show its age, but I think you made the best out of it. A good attitude to have :). Purple is my go to Drow colour. I guess must be WotC influencing my aesthetic choices. Maybe it is time to mix it up a bit. 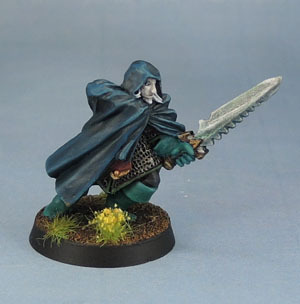 Not wanting to overly use the trope colours is something I’ve kept in mind for the Fantasy armies. 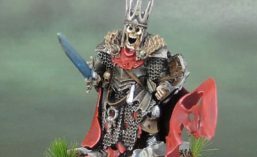 I mean, the Undead are red/black/bone/metal, and the Gondorians are “as seen on TV”, and I’m tending towards red (or red-brown) as my spot colour for the Warhammer orcs but as long as not everything looks like was directly inspired by Warhammer Armies then I’m happy. Having said that, I’m simply trying to be a little different in places rather than a unique snowflake, so my High Elves are pretty much ripped off the World of Warcraft Blood Elves colour scheme, but red and gold make a nice contast to the typical White and Blue, so it works for me, and the Dark Elves follow the same theory. Of course, the Wood Elves will be in naturalistic tones, because they’re about nature and blending in rather than Elven House Heraldry. 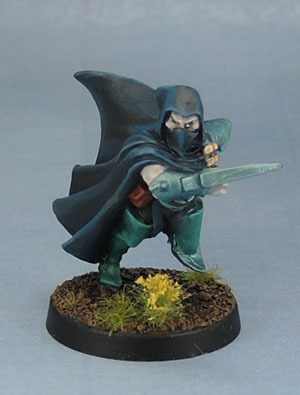 Your dark elf colour scheme is great. Ethereal and otherworldly.